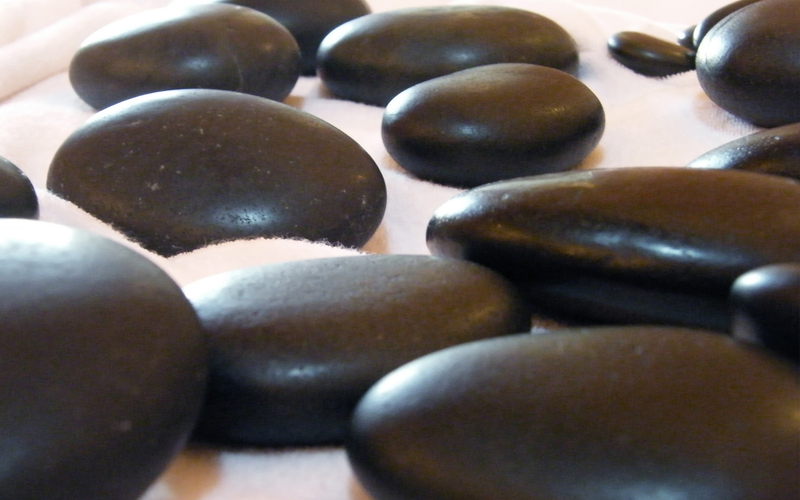 There is a history of using Hot Stones to Massage the body dating back to India over 5,000 years ago. Healers would use rocks from the river beds and warming them either in hot coals or hot water. By placing the hot stones on the body and arranging them along the energy centres of the body, a healing process would occur. The hot stones relax the muscles and “draw out” muscle pain and discomfort. A Hot & Cold Stone Massage is a holistic treatment and is truly relaxing, stones of varying sizes are used on difference parts of the body – from the forehead to between the toes to de stress and stimulate nerve endings. This allows for deep physical and mental relaxation. Using alternate temperatures is a perfect boost for the cardio-vascular system. It enables every cell in the body to benefit by enabling them to receive more oxygen and nutrients. Also toxins are flushed out through the lymphatic system . Thermotherapy: uses smooth, hot basalt river stones which have a high iron content and therefore hold the heat longer than stones of other types. These are heated in water to a comfortable temperature and are used for massage with oil or placement on the body. One massage stroke with a hot stone in hand is worth ten without, allowing a deeper and more effective treatment. Cryotherapy: uses cold, typically marble stones, as they retain their coldness longer. Stones are introduced slowly and precisely to the body where necessary. Healing takes place on all levels during Stone Therapy from increased blood and lymphatic circulation to decreasing pain and stiffness. Comforting pressure on the body’s stress zones very quickly brings about a relaxation that puts the body into homeostasis, a place of balance where the body can repair and renew. I often incorporate therapeutic energy work into the massage treatment. Providing crystal and energy as part of the massage to heal and balance your mind, body and spirit results in a truly holistic therapy.